This month Tatler magazine is giving away a free mini (2ml) Lancome Hypnose Star Mascara in Noir Midnight. The full size version retails at £21.00, so spending £4.10 on Tatler is a much cheaper way of trying out this high end mascara. This is a relatively new release from Lancome, marketed with the rather cute Betty Boop. "Lancome reveals the secret to show stopping eyes: our double sided brush combined with the black diamond effect shade gives the look of intense volume and curve for spectacular eyes." The double sided brush did confuse me at first - I was thinking, what do I do with this? Basically the brush is flat with rounded sides. Lancome recommend using the flat part of the brush to apply the mascara to the roots of the lashes, then using the rounded side to work the mascara up from the roots to the tips in a zigzag movement. I did think, can I really be bothered to faff around doing it this way? The brush itself is great in that it doesn't seem to come out of the tube covered in excess mascara. I did find that when applying the flat side to the roots of my lashes I got mascara on my upper waterline, which was a bit of a pain. Maybe that's user error though, I'm not sure!! The rounded side works the product up through lashes really well, giving them great volume and curl. However in places I did get a little bit of clumping and needed to use my mascara wand. However the end result I think is fantastic! The curl lasted all day, so massive brownie points to Lancome! I have quite long but very flat lashes, so a mascara that holds a curl is quite hard to find for me. Now my current favourite mascara is Benefit They're Real (I've previously described it as my holy grail mascara), so how does it compare? I think the effect is pretty much the same, both give fantastic volume and curl. 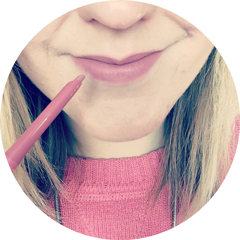 However Benefit still comes out on top for me - at the end of the day I don't have to mess around with two different sides of a brush to achieve the desired effect, I don't have to de-clump with a mascara wand at all and it's cheaper at £18.50 compared to £21.00 for Lancome Hypnose Star. I really do think Lancome Hypnose Star is a fab mascara (I don't think I'd expect any less from this brand to be honest! ), but I won't be buying the full size version. I'll be sticking with my beloved Benefit for now! However I really would recommend hitting Tesco or W H Smith before the end of the month and spending less than £5.00 on Tatler to try the mini version. Is this a freebie you plan to pick up or already have? What are your thoughts? Its looks great for a sample its a pretty decent size. I like how dark black it is & your lashes look really long. I agree its quite pricey. But as it was free with a mag its nice to test it out. This looks really impressive on, wow! FREE Lancome Mascara with Tatler! (We Were) On A Break!